Clermont Draft Legal Challenge is a really fun event, that I participated in for the first time. 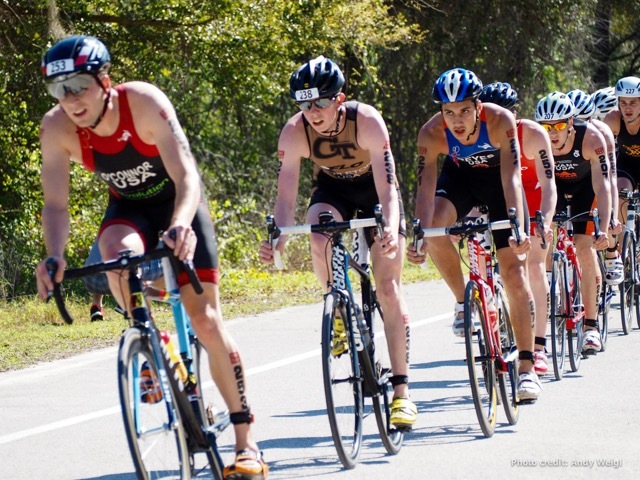 Near Orlando, FL, the event features draft legal sprint distance racing, with races on Saturday and Sunday. Draft legal racing is very tactical, especially the bike leg, where it is all close quarters and you can work with a lead pack to stay in the game. 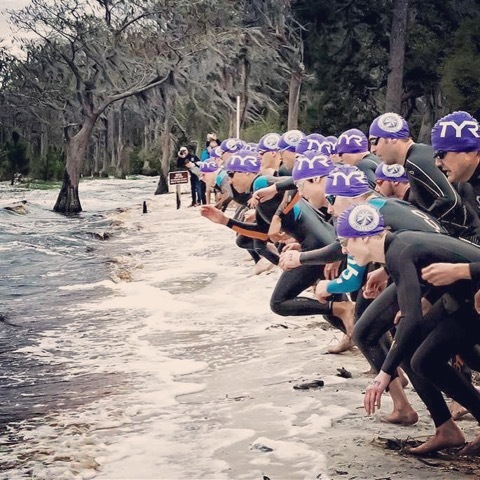 No tri or time trial bikes here. There are strict rules requiring traditional road bike setups for safety and accident avoidance. This targets top amateurs who wish to gain Elite status in USAT. Top 3 on either day earns that credential. I got a 6th and a 9th. Not bad for only having raced one draft legal event prior. 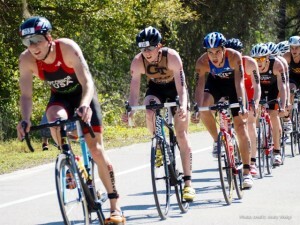 I recorded a 59:45 on Saturday, with a 3rd place swim, and I hung in with everyone on the bike, but I gave up a minute on the run to the leaders who threw down 16:00 5K’s, a pr mile pace of about 5:10. It was fun on Saturday being in the front group as we had a great pack working together and making sure the chase pack didn’t catch us. Sunday, I was a bit tired from Saturday and went a 1:00:05, for 9th place. 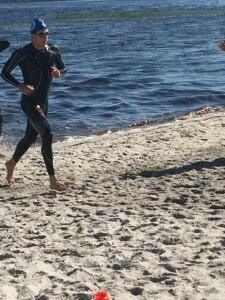 I had a good swim again but my T1 was bad and I got strung out between the lead swimmers and then some guys that formed a chase pack. I ended up waiting for the chase pack even though looking back I probably should have gone for the leaders. There are moments when you have to make decisions in these types of races that can either make or break it. Despite not being in the lead pack, the chase pack worked amazingly well together and we actually caught the leaders. This was really cool. Steven Mantell, of Colorado State, was a powerhouse and got a lot of the guys to work hard. Eventually it ended up being a pack of about 30 coming into T2. I felt gassed on the run and just was happy to finish. Overall, it was a nice trip to Florida to start my spring break. I even got to see my Aunt Lisa and cousins who live in Orlando.